There’s usually a roaring fireplace in most castles. One reason: the lords and ladies had trouble finding a good way to insulate their old windows. If only Indow had been around in the Middle Ages to make window inserts for all those grand buildings! Luckily for Hope and Cotter, we were around for them. Their “Castle,” as it’s locally known in Hopewell, New Jersey, took six years to build before it was finished in approximately 1900. 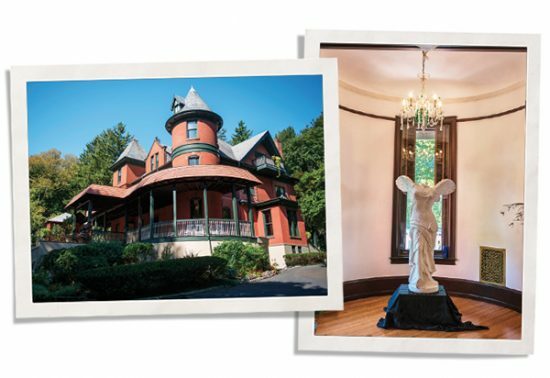 Imposing and grand at 9,000 square feet, it’s a place Hope Cotter and her husband, Kevin, open to various nonprofit organizations for events from a local musical ensemble to an anti-bullying group. “It’s a way of life to open our home because we have something special – this space – to share,” Hope said. 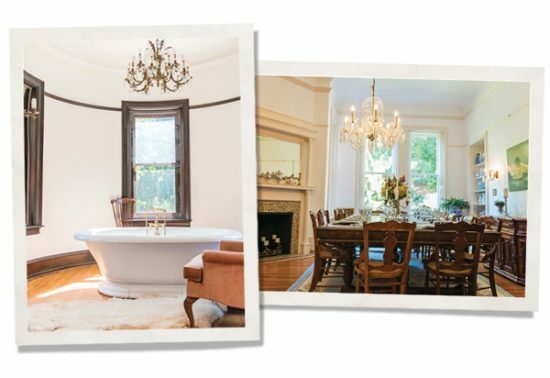 Before they bought the house in 2009, previous owners had nursed it back to health, repointing the bricks, refinishing the floors and buying new appliances. But Hope wanted to make it more efficient and sustainable. They knew they had to insulate the home’s 54 historic windows, some of which were exceptionally large and drafty. When the windows would rattle, Kevin could imagine the money pouring out of them. Replacing the windows with new double-panes would have been prohibitively expensive and changed the character of the house. An architect told the couple about Indow window inserts. Not only would they help block cold drafts in winter, but they would regulate the temperature year round. A pilot test in their kitchen made it clear they keep the summer heat at bay. Once the small air conditioning unit got the kitchen cold, it stayed cold. So they decided to buy Indow inserts for the rest of the house. On the west facing side they bought Museum Grade to protect their artwork. Since they didn’t live in a dealer territory, they laser measured their windows using the simple kit Indow sent them. Hope was sure with 54 windows, they would mismeasure a window. But every single one was accurate. Already, she has noticed that the house is quieter with the inserts. But she’s most excited about blocking drafts in the winter.